In our Scholar Development program, emerging scholars (known as Pike Scholars) are mentored by established scholars (the Fellows of the Pike Center) as they practice the craft of scholarship. We now invite you to get to know each of them a little better. Pike Scholars are emerging scholars who are participating in the Scholar Development program of the center. Requirements for becoming a Pike Scholar include having a doctoral degree or being in the process of earning one. Karl Anderbeck is in the final stages of a PhD program in dialectology and sociolinguistics at the National University of Malaysia. The title of his dissertation is Mapping the dialect network of Western Bornean Malayic. He is an Senior Language Assessment Consultant for SIL International and is currently heading up a pilot project for collaboratively identifying language development needs. His research interests include the problems of language identification in complex dialect networks, and how that relates to identity and language planning efforts in minority speech varieties. See publications. Virginia Beavon-Ham is in the final stages of a PhD program in Linguistics at Leiden University. Her dissertation explores the tone system of Saxwe (a Kwa language), including evidence within this system of historic tone change. She is the Linguistics Coordinator for SIL Cameroon. Her ongoing research interests include the phonetic implementation of tone, the description of Saxwe grammar, and the interaction of tone and morphology. See publications. Matt Crosland earned a Doctor of Intercultural Studies from Fuller Theological Seminary (Pasadena, CA) in 2018. The title of his dissertation was Language Program Planning: A Culturally Appropriate Model. Matt is currently serving as the Administrator of Academic Training with SIL Papua New Guinea and the Principle of the Pacific Institute of Languages, Arts and Translation in Papua New Guinea. His current research interests include culturally appropriate language program planning and management, multilingualism, scripture engagement and how deeper anthropological understanding affects these areas. 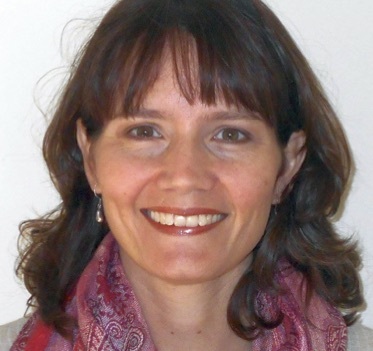 June Dickie earned a PhD in Biblical Studies from the University of KwaZulu-Natal (South Africa) in 2017. Her thesis, Zulu Song, Oral Art: Performing the Psalms to Stir the Heart, was an empirical study of community translation, orality, performance, and ethnomusicology. She is currently a postdoctoral researcher at the University of KwaZulu-Natal, and a translation consultant for Wycliffe South Africa. Her research interests center on the reception of biblical text (particularly Old Testament) by local, marginalized communities, including a focus on oral translation, contextual performance translation, and the use of lament psalms in trauma healing. See publications. David Eberhard earned a PhD in linguistics from Vrije Universiteit (Amsterdam) in 2009. The title of his dissertation was Mamainde grammar: a Northern Nambikwara language and its cultural context. At present he serves as General Editor for the Ethnologue. Dave’s research interests center on gaining a deeper understanding of how minority communities facing language shift use their language repertoires in unexpected ways, and on how such an understanding can guide efforts of language development within such communities. See publications. 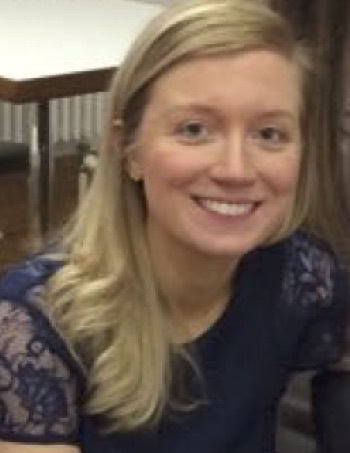 Rachel Hanna earned a PhD in English Language and Linguistics at Queen’s University Belfast in 2019. Her thesis explores readers’ responses to asylum seekers’ oral narratives of personal experience, considering the influences of language and culture upon empathetic engagement. Her research interests include the impact of migration, multilingualism and new technologies upon scripture engagement. Matthew Harley earned a PhD in African Linguistics from the University of Edinburgh in 2005. His thesis was a descriptive grammar of Tuwuli, a minority language of SE Ghana. He is currently the Head of the Linguistics and Translation Department at the Theological College of Northern Nigeria in Jos and also serves as a linguistics consultant for SIL Nigeria. His current research interests include descriptive issues relevant to the documentation and development of Nigerian languages, and how linguistic insights can help improve the naturalness of translations from other languages. See publications. Tim Hatcher is in the final stages of a PhD program in Intercultural Studies at Assemblies of God Theological Seminary (Missouri). His dissertation involves in-depth case studies of three Bible translation programs in different parts of the world to assess how well our current theories of Scripture engagement account for the observed results. Tim is an assistant instructor at the Graduate Institute of Applied Linguistics and a Scripture Engagement Specialist for SIL International. His ongoing research interests involve developing insights that will empower national Bible translation organizations to incorporate strategic Scripture engagement thinking into their planning and activities. See publications. Tim Kempton earned a PhD in computational linguistics from the University of Sheffield (UK) in 2012. The title of his dissertation was Machine-assisted Phonemic Analysis. He now works with SIL Nigeria, training to be a linguistics consultant and is currently working with the Nikyob language community. Tim’s current research interests include using speech recognition technology to help communities develop their writing systems, such as through automatic analysis of data recorded using a participatory approach. See publications. Sangsok Son earned a PhD in Educational Studies from Jawaharlal Nehru University (New Delhi, India) in 2018. The title of his dissertation was Negotiating Classroom Linguistic Diversity: A Study of Teaching-Learning Strategies in Multilingual Classrooms in Delhi. He is a literacy and education consultant for SIL’s South Asia Group and LEAD Asia, and is currently the primary investigator for translanguaging pilot research project of LEAD Asia in collaboration with the Foundation for Applied Linguistics in Thailand. Sangsok is interested in developing teaching methods for emergent bilingual children from different linguistic communities studying in the same classroom, using a translanguaging approach. Oliver Stegen earned a PhD in Applied Linguistics from the University of Edinburgh in 2011. His doctoral research investigated the textual products of writers workshops in the Rangi language (Tanzania) to gain insight into how written style develops in a newly written language. He serves as a linguistics consultant for SIL UTB and as Linguistics Domain Team Leader for Anglo-Lusophone Africa. His current research interests include descriptive linguistic issues relevant to orthography and literature development in East African Bantu languages, and the development of Swahili as an academic language. See publications. David Troolin earned a PhD in Anthropology and Development Studies from the University of Adelaide in 2018. The title of his thesis was Wanbel: Conflict, Reconciliation and Personhood among the Sam People, Madang Province. He is the Anthropology Coordinator for SIL Papua New Guinea and Translation Advisor for the Sam project. His current research focuses on how the Sam and others in Madang Province conceptualise wanbel ("one insides, reconciled") in their pursuit of the good life, as they navigate recent modernising influences such as Christianity, independence, development projects, and the “time of money.” See publications. Stephen Watters earned a PhD in linguistics from Rice University in 2018. His doctoral research resulted in a grammar of spoken Dzongkha with a focus on interactive conversational data as the corpus of study. He serves as a Research Director for SIL International and a translation consultant in Asia; he also has an adjunct faculty position with the linguistics program at Baylor University and is a Fellow at the Institute for Studies of Religion, Baylor University. He has broad interests in the communities of the Himalaya, including studies in the intersection of language and human flourishing. See publications. Cathryn Yang earned her PhD in linguistics from La Trobe University (Melbourne, Australia) in 2010. Her dissertation explored the synchronic and diachronic relationships between Lalo languages, a cluster of Tibeto-Burman languages in southwest China. Cathryn now teaches linguistics as part of SIL (Yunnan)'s partnership with the Institute for Sino-Tibetan Language Studies in Chenggong, China. One of her ongoing research interests is to determine the genealogical relationships within a newly identified subgroup of languages in northwest Yunnan, a finding with implications for how these marginalized communities can share resources for language development. See publications. Brendon Yoder is in the final stages of a PhD program in linguistics at the University of California at Santa Barbara. His dissertation investigates the grammar of Abawiri, a previously undescribed Lakes Plain language of Papua, Indonesia. He works with the GIDI church denomination to facilitate Bible translation and language development in Abawiri, and is training as a linguistics consultant with SIL International. His ongoing research involves adapting participatory methods for orthography development to the Papuan context, as well as facilitating analysis of grammar and discourse to support language development and Bible translation programs. See publications. to propel language development for generations to come. Pike Center for Integrative Scholarship builds capacity for language development that serves communities on the margins by developing scholars and growing the needed bodies of knowledge. Copyright 2017, SIL International. All rights reserved.